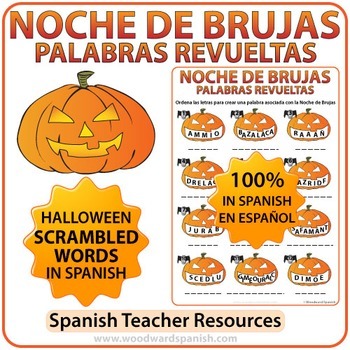 Scrambled Words Worksheet with Vocabulary about Halloween in Spanish. The letters of 12 words appear scrambled inside the mouth of a pumpkin. Underneath each one there are dashed lines where students can write the correct word. 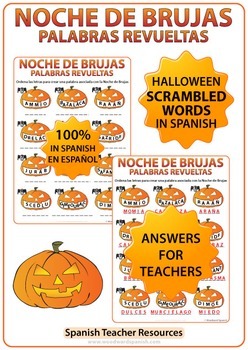 This activity is completely in Spanish without any English on the worksheet. It includes an answer sheet where students can check their own work.